Let your kids have fun while you take a time to unwind. 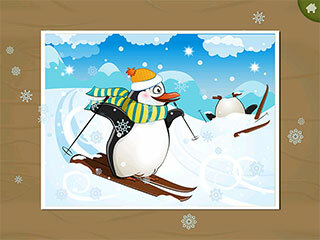 These jigsaw puzzles of cute animals in various situations are ready to be assembled! While you take your well-earned break, your children will be developing their cognitive skills, fine motor skills, patience and ability to focus all on their own. Or you can play together! 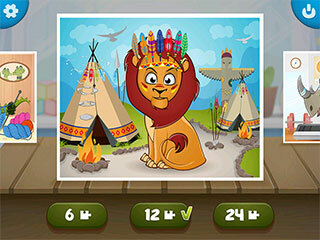 The goal of the game is to assemble each picture. 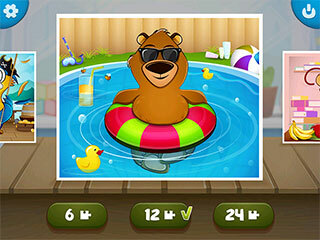 The game comes with three difficulties with increasing amount of pieces for each picture. 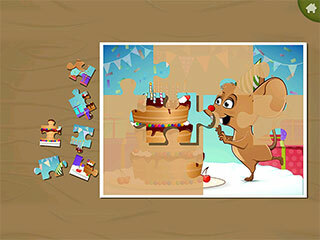 This jigsaw puzzle game is suitable for both children and parents. 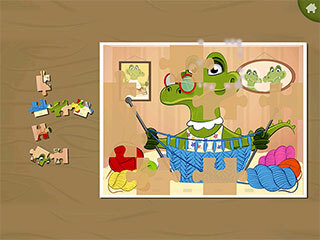 Drag and drop puzzle pieces to the right place to assemble the picture. Tap other onscreen icons for corresponding action (settings, exit, back...).Drag and drop puzzle pieces to the right place to assemble the picture. Tap other onscreen icons for corresponding action (settings, exit, back...).